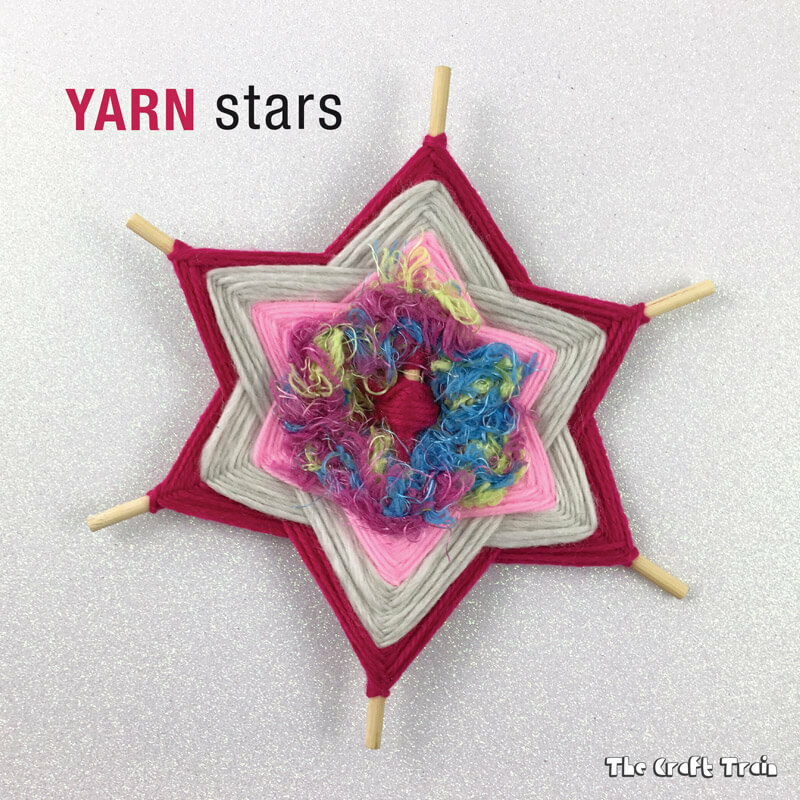 Make gorgeous yarn stars using the traditional God’s Eye weaving technique. Many of you would have made or at least heard of God’s Eye weaving crafts. 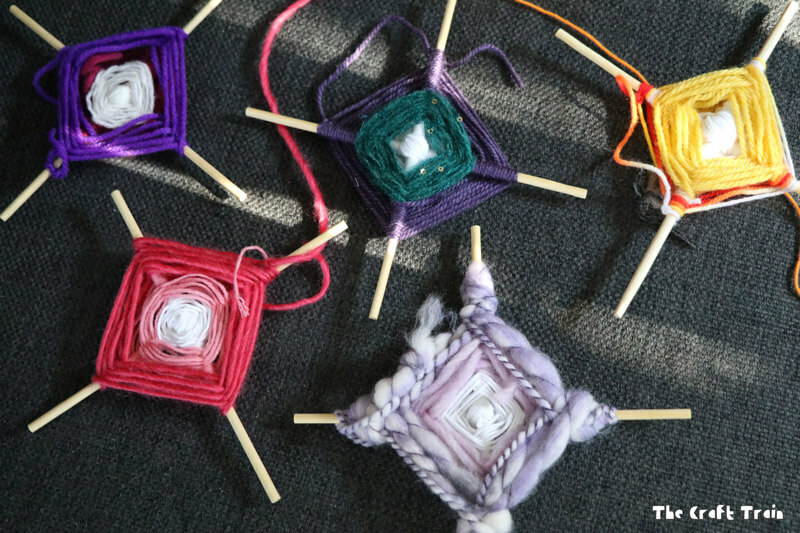 They are a traditional craft with spiritual significance originating in Mexico, but the technique has been adopted around the world as a fun and easy craft for kids. My kids (aged 8 and 9) love to make God’s Eyes, and we have their kid-made versions hanging all over the house. I haven’t shared a tutorial here on the blog yet (although I’ve always mean’t to “one day”). Here is a pic of some my kids have made to give you an idea of what I’m talking about. 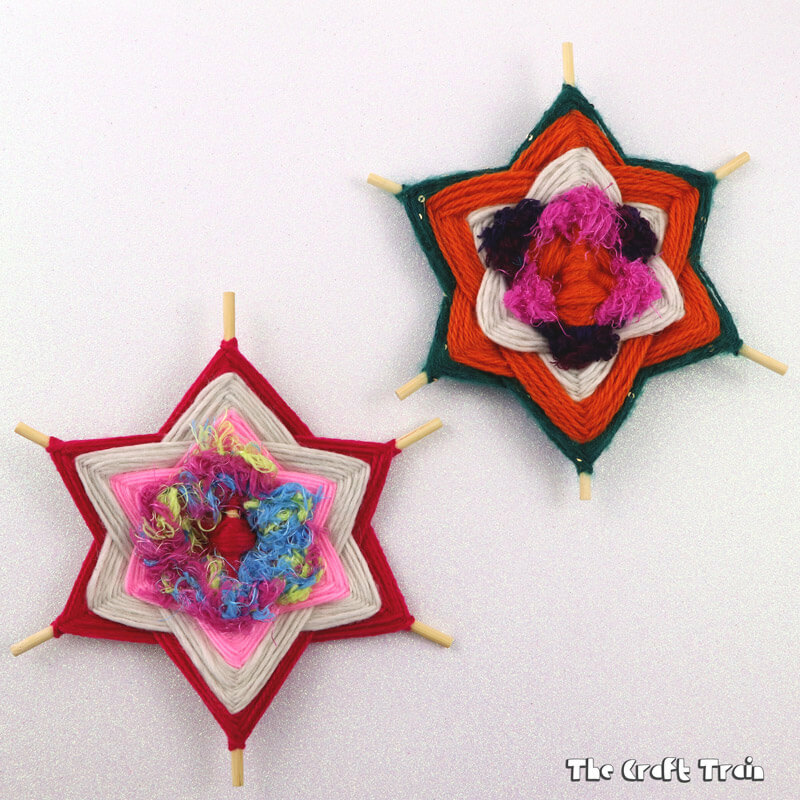 Well, here are some yarn stars you can make using the Gods Eye weaving technique. It uses three sticks instead of four and is slightly more complicated than the traditional four stick approach. • Craft rods (dowel rods), or chopsticks – 3 per star. It doesn’t really matter what size they are, the bigger the sticks the bigger the star. 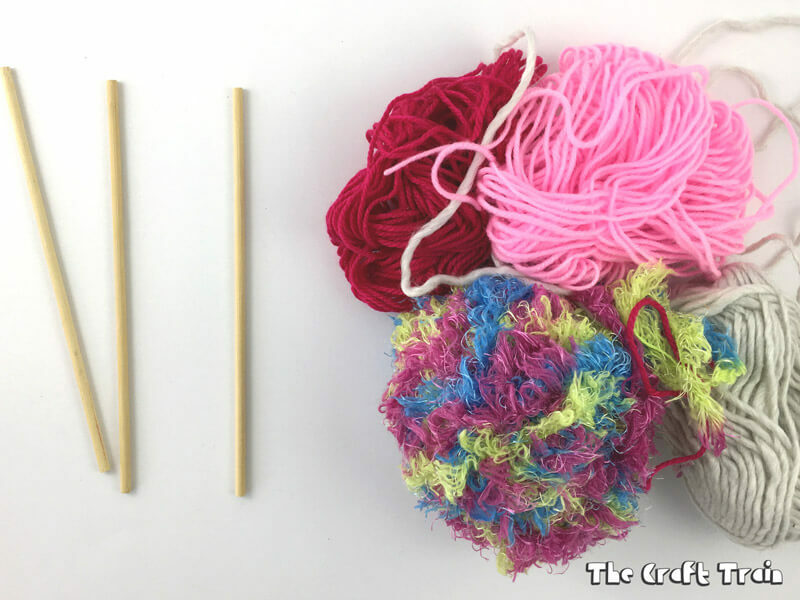 Bundle the sticks together and wrap your yarn around the centre a few times. Twist the sticks into a star shape and wrap the yarn between each individual spike to secure the shape until it feels a little more sturdy. Now you have a star shape you can begin weaving. Wrap the yarn around a spike once, going over the top and around, then skip a spike by going behind it and wrap it around the next one. Repeat this pattern until you have a small triangle. Note – in my image and video tutorial you might notice that for my first triangle I’ve wound the yarn around the spikes in the opposite way (going around under the spike instead of over it) which was by accident. It doesn’t really matter, I switched it back for the rest of the colours and you can’t notice at all on the finished star. Using the same colour wrap the yarn around the spikes you missed the first time, creating a second triangle which looks upside down against the first one. To finish off the colour, simply snip the yarn and tuck it into the last piece of yarn on your triangle. Repeat this weaving pattern with more colours. The larger your star gets the more defined the shape will become. Finish off your star by tying the final thread to one of the other threads on the back. Snip the loose ends off to tidy it. Finally, tie a loop to the one of the spikes so you can hang it on the wall – you’re done! You could easily design some of your own variations and patterns for these stars. We love how they’ve turned out! Have your tried Gods Eye weaving before? We also have a yarn crafts board on Pinterest with loads more inspiration!